On Wednesday, October 18, the Oxford Police Department arrested Natalie Keeney (20 of Oxford, Mississippi) for Dog Stealing. On September 15, a report was made that the dog was stolen and the victim signed charges on Keeney. Kenney turned herself in to the police department. She was given a bond of $1,000. 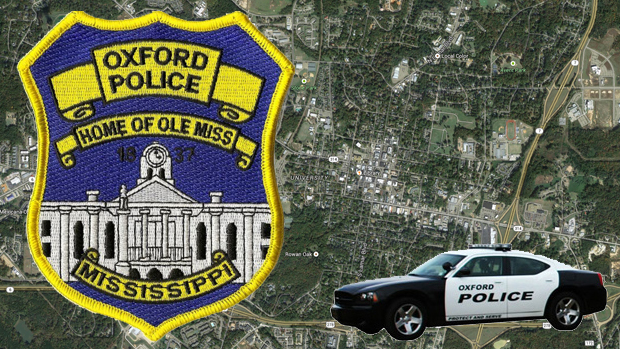 On October 17, 2017, an officer with the Oxford Police Department made a traffic stop for speeding. Upon investigation a stolen firearm was found in the vehicle of, Roderick Daniels (29) of Grenada. Daniels was taken into custody and transported to The Lafayette County Detention Center. Daniels was charged with possession of a stolen firearm and bond was set at $2,500.00. On Thursday, October 5, 2017 investigators of the Oxford Police Department served an arrest warrant on Allen Mathis (21) of Oxford, MS for one count of burglary of an automobile. On Wednesday, October 4, 2017 Mathis was accused of going inside a victim’s car at Pat Lamar Park. He stole cash and a check book. Through our investigation, Mathis was identified as the suspect. Mathis was booked on auto burglary and his bond was set at $20,000.00.